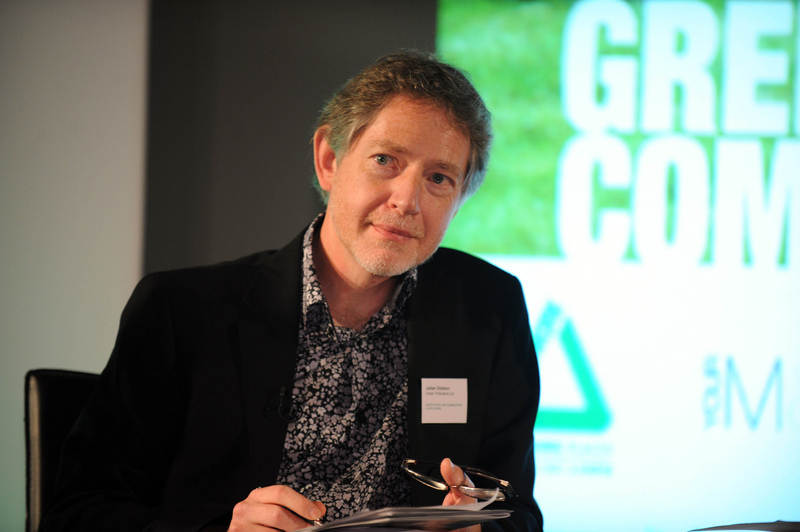 Can we save our town centres? The state of Britain’s town centres is back on the political agenda, as many of our towns and cities continue in their struggle to survive, regenerate and prosper as social centres. 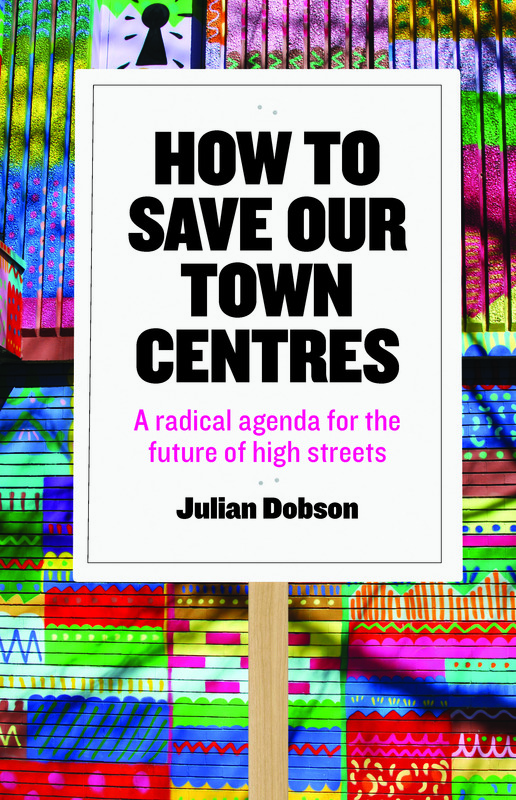 In his guest post author and researcher Julian Dobson, whose book Save our town centres publishes today, shows the failure of depending on market forces to ‘solve’ the town centre problem. Last month local leaders across the UK who had pinned their hopes on plans to regenerate landmark sites in partnership with Tesco had to bin years of planning and negotiations: the giant retailer pulled out of schemes to develop 49 sites, dumping promises to create at least 8,000 jobs, more than 1,100 new homes and nearly 2.5m square feet of retail space. Wolverhampton’s Royal Hospital, derelict for 14 years, was just one of the victims. Less than a year ago the local council leader, Roger Lawrence, was hailing a £65m scheme to bring the site back to life, create hundreds of jobs and revitalise the city centre. Frustration continues to typify the debate on the future of town centres. Local and national leaders place their faith in private developers and big retailers to rescue towns from decline, only to have those hopes dashed time and again. Speaking in Parliament on 10 February Barry Sheerman, MP for Huddersfield, declared that town centres were: “threatened by all sorts of forces: not exactly evil forces, but forces of change.” His roll of shame included supermarkets, betting shops and takeaway food stores. There are signs that this is starting to happen. In Bangor, Northern Ireland, artists have worked with the local council to bring a run-down parade of shops back to life. In Falkirk a series of festivals have created a buzz and sense of local pride. But the real changes we need go much deeper than that. They involve rethinking how space is used, who has access to it and owns it, and where the economic, social and environmental benefits flow. The decline of our town and city centres has taken decades, exacerbated by social and technological changes, unintelligent planning decisions, and a naive faith that ‘the market’ will solve the problems it has created. It may take as long to reconfigure town centres in ways that generate lasting local benefits. But in the meantime there are powerful symbolic actions that can demonstrate the direction of travel that’s required. In Todmorden, West Yorkshire, local people are rethinking public space and creating a new narrative for their town by growing and sharing food. 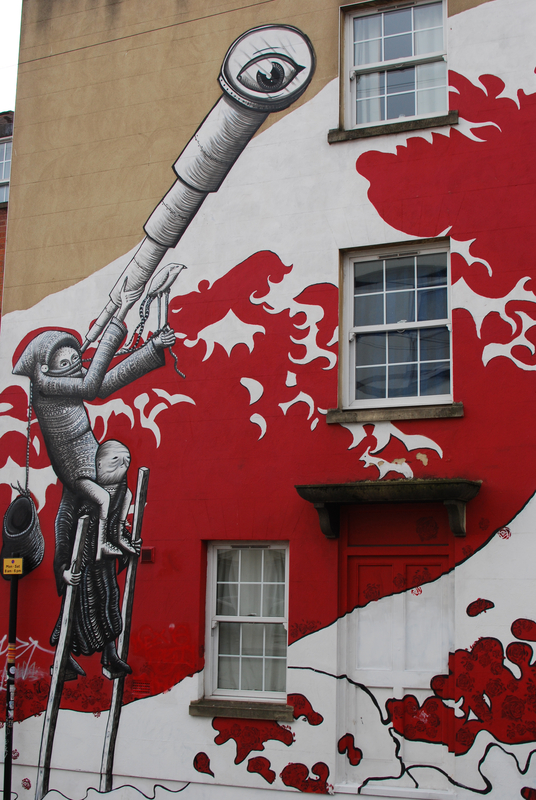 In Bristol, street artists have pioneered alternative futures for Stokes Croft, an area neglected for years by the city council and private landowners. On London’s South Bank, Coin Street Community Builders has shown how creating affordable homes for local people rather than yet another bleak office city can bring lasting benefits for everyone, opening up the riverside as a public space and preserving a diverse community in a city that is increasingly the preserve of the affluent. Such symbolic actions can signpost new ways of thinking of urban space as part of the ‘commons’, the shared resources from which we all benefit and for which we all share a responsibility. The challenge of town centres is a microcosm of the challenges of 21st century society: how to create an economy that works for all, how to create good places to live in, how we construct our identity in a world in which life is increasingly commoditised. There aren’t any quick and easy solutions, but despite the continued angst over the future of our towns and cities I believe there are many reasons to be hopeful. That hope is found in the places where people have been ready to challenge the assumption that wealth will trickle down to localities from corporate activity, and where they have begun to define the value of places and spaces on their own terms and in response to local needs. How to Save Our Town Centres publishes today and is available from Policy Press. It can be purchase from the website with a 20% discount by clicking here.